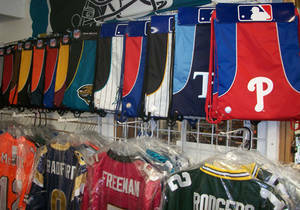 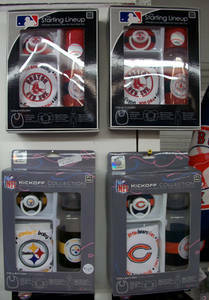 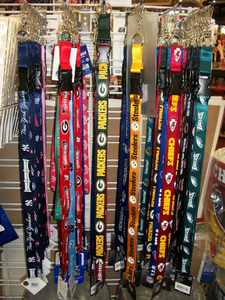 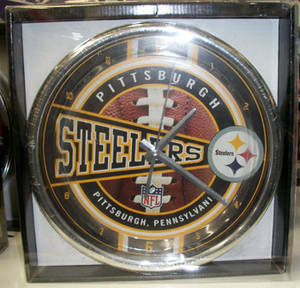 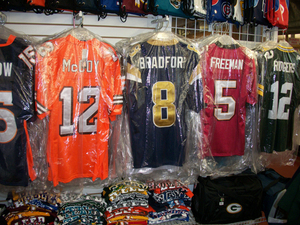 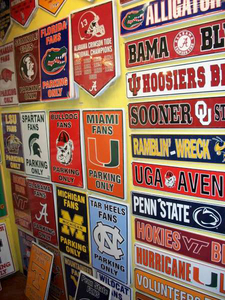 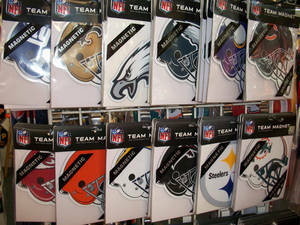 Find us at South St (G1) & row B. NFL, MLB, NBA and college sports logo merchandise. 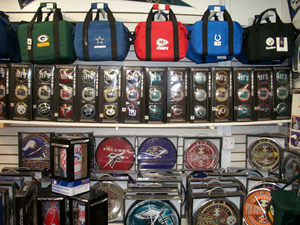 Featuring all your favorite team logos on signs, pennants, koozies, sunglasses, clocks, lights, blankets, cooler bags, lunch totes, backpacks, gym bags, jerseys, decals, keychains, freezer mugs, shot glasses, beach towels, steering wheel covers, auto emblems, fuzzy dice, lanyards, magners, bobble heads, clings, t-shirts, gloves, car flags, 3 x 5 flags, garden flags, pictures, game day pouches and purses. 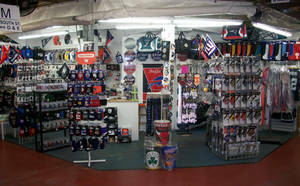 Let us know what you need – special orders welcome! 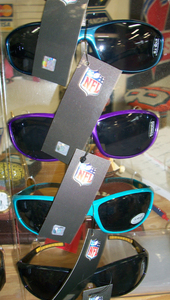 New and fun items come in on a regular basis!